Posted 10:00 pm by Rena Anya Devéza & filed under Alexander Technique, torn meniscus. So I had a great day…felt pretty good…attended a flute workshop with Keith, in the nabe; started physical therapy; inaugurated my borrowed table with an AT lesson chez moi! Doucette the cat tried to climb onto the table while the lesson was going on but didn’t succeed. She was miffed. She acted out: when my teacher left, she ran out into the hall, but ran out too far. She got lost! She panicked! She started to howl! So I ran over to her, scooped her up, and ran for my door to deposit her safely inside the apartment. Doucette got lost like this in the hall once before. That was the only other time I heard her howl. She is quiet…she kind of chirps when she does meow. 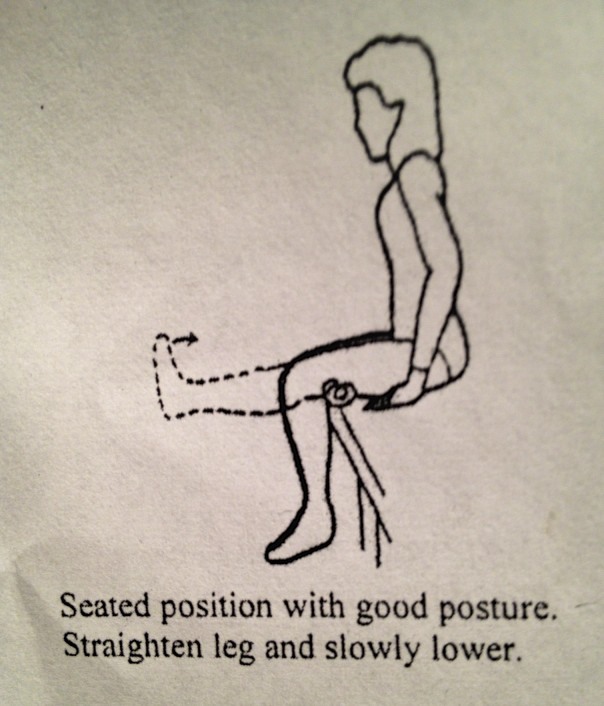 “With good posture” hmmm…I decided not to ask the therapist what this means to her. Two days later, at my second p/t session, when she told me to sit up straight well you know the drill…I lengthened up and widened… I asked her if she had ever heard of the Alexander Technique. She had heard of it but had no clue about what it was. Oy vey! That particular day I was not feeling so hot, physically. I was warned that I would have ups and downs, and my physical therapist affirmed this for me. Sigh, sigh… I know now that I’m in it for the long haul. But, hey, I did receive my copy of F. Matthias Alexander’s Constructive Conscious Control of the Individual, and I did start to read. It took only a week to arrive from the UK. The postman actually brought it up to my door! Not bad! And I did run right into a dear colleague from work on the way to the subway after p/t! How I miss work! Hugs all around! We talked shop! We giggled about the FaceTime chat he and other colleagues surprised me with last week. That was totally cool! And it was the first day of autumn that was cold enough for the heat to be on all day long. Yay! My apartment is nice and toasty! Ah the cheery sounds of the steam heat coming up! Music to my ears! Really! I’m thinking lots about Willis Reed these days…please click on the links if you don’t know which historic event in NYC sports I’m referring to. Greatest moment in the Garden ever? Most probably. Talk about great use of self of all involved! Let’s go Knicks!!! I remember it well. I had a gig that night. On the way, I listened to the opening minutes. In a way, I’m happy I couldn’t see it. The crowd roar, when Willis entered, and after his first two baskets, set my imagination wild. With only sound available as a stimulus, the hair stood out on my neck.Yes, sometimes less is more. Donald, I was told that when Willis walked in, the whole Laker team just stopped cold and stared. One could say that they knew the game was over at that point.